The DWL-P100 Power Over Ethernet (POE) Adapters are accessory items designed to supply operational power to devices with an Ethernet port and power requirements that do not exceed 5 Volts/1 Amp. 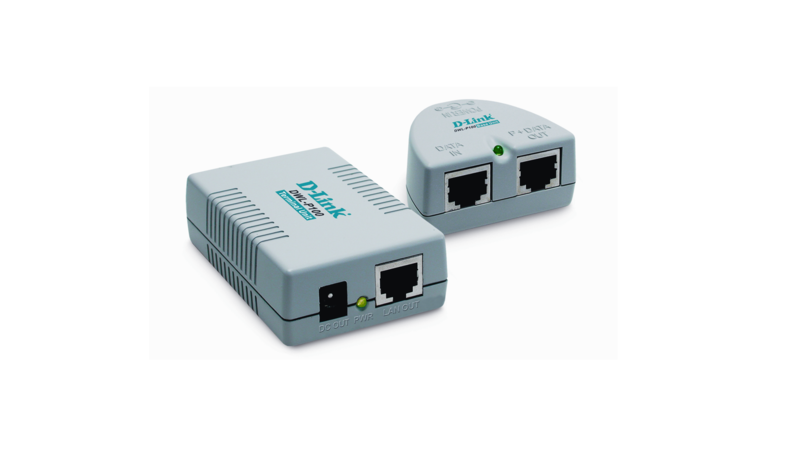 D-Link introduces another revolutionary product - the D-Link DWL-P100 Power Over Ethernet (POE) Adapter. It delivers data and electrical power to access points using standard Category 5 Ethernet cable. This eliminates the need for electrical cable and power converters at each access point location. The DWL-P100 Power Over Ethernet (POE) Adapter is easy to install. It 's Plug n Play and requires no tools or software. Best of all, the DWL-P100 is light weight and compact size means you can locate it virtually anywhere and never know it 's there. The DWL-P100 transfers data on Category 5 Ethernet cable pairs 1/2 and 3/6. Power is transmitted on unused Ethernet pairs 4/5 and 7/8. It has an operational range of up to 328 ft./100m, which is a requirement of the Fast Ethernet standard. Terminal Unit With the DWL-P100 you can mount devices such as an access point virtually anywhere in a building without worrying about the location of a power supply.